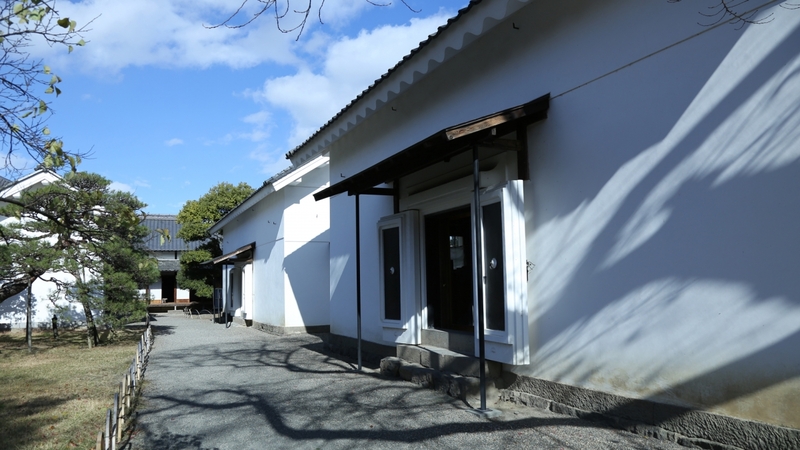 A valuable estate known for its 19th century goten (palace) architecture. The Sanada Family Residence was a palace built in 1863 over the span of a year. It served as a residence for the lord’s mother-in-law. Later, it became the residence for the lord as well, following his retirement. There are only a few palaces that were built apart from a castle like this remaining in the country. The main house and the many other buildings and gardens that remain on the premises are part of an important cultural heritage. A spacious step sitting at the main entrance/exit. 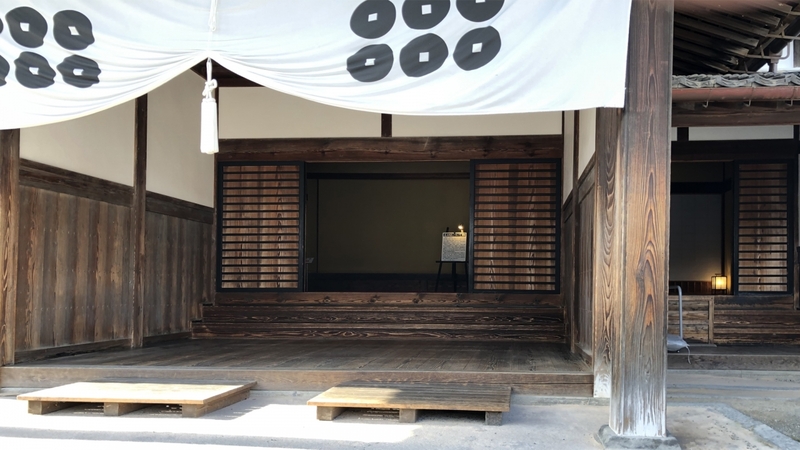 The shikidai was a low-lying wooden floor in the entryway. It was allowed only in the homes of samurai. Furthermore, during the Edo period, the main entryway was used only by the lord and guests. Others used the side entryway on the right. The outer chambers were the official areas for meeting with guests and conducting business. The inner chambers were private living quarters. A building design like this one that creates separate spaces for both public and private matters is called goten architecture. 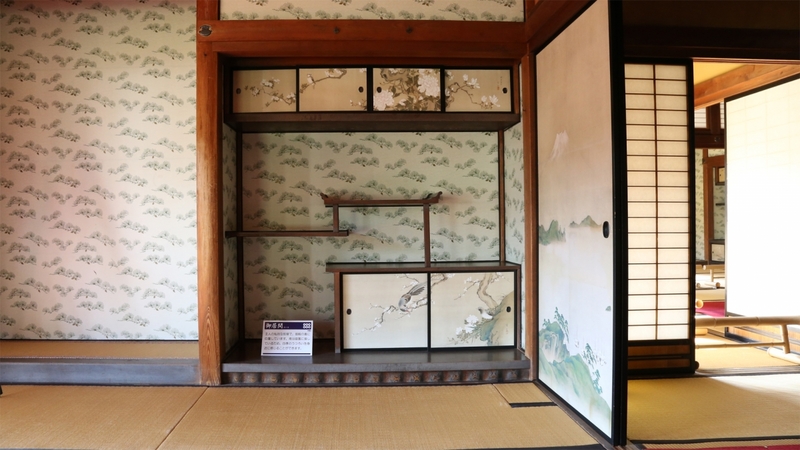 Although it was on a small-scale, the Sanada Family Residence still distinguished between inner and outer areas by using wooden sliding doors. 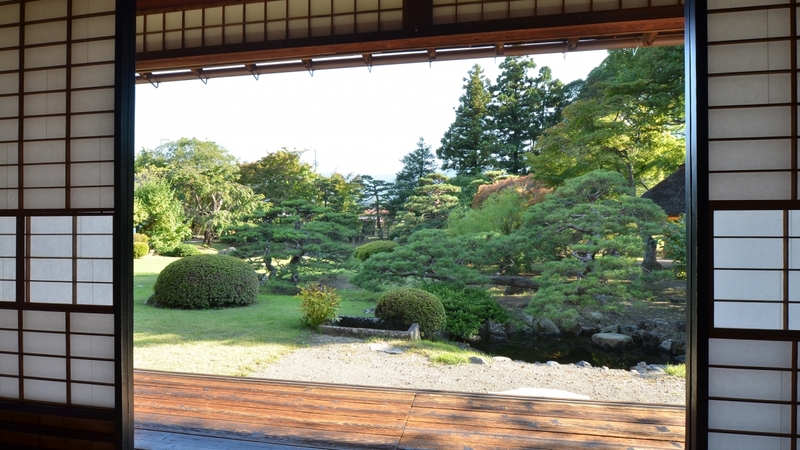 In what is known as shakkei, the garden’s scenery incorporates the view of the mountains in the background. The garden is designed to be viewed while seated inside. The pond’s water is part of a waterway called Sensui. Water flows down from the ponds of the houses upstream, joining and then finally running into the Matsushiro Castle moat. Ornamental plants are grown in the garden so that it can be enjoyed throughout the four seasons. Numerous earthen storehouses seem to enclose the property. Various armaments and antiques slumber within, stored in long-term storage carriers and boxes of all shapes and sizes. Storehouse No. 3 has been turned into a hands-on activity studio where a variety of workshops is held regularly.